It’s going to be a bear of a weekend, as the Atlanta Bear Fest makes its return July 4–7 with ABF ’13: Bear Island. Atlanta Bear Fest, or ABF, was created in 2009 by the Southern Bears, Atlanta’s organization for the bear community and their admirers. The event is a variation of a “run,” or a circuit party, that was the result of a look at a previous annual event that the organization previously held for years called Bear All. Ahead of this weekend’s activities, David Atlanta spoke with Southern Bears president John Beck about the history of Atlanta Bear Fest, the importance of the event to the bear community and more. Can you tell me about how the Atlanta Bear Fest came into existence? Southern Bears has sponsored a Bear Run since its early days. Ours used to be called “Bear All.” Several years ago we noticed that attendance at our run and other runs nationally was going down dramatically. We did a considerable amount of study and internal examination, took a year off and then came back with Atlanta Bear Fest, or ABF. We have had very good success with the newer format and feel it meets the needs of the bear community better than the old one. 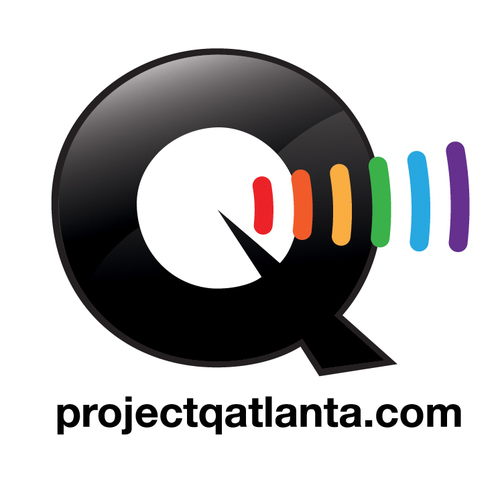 What is the importance of the Atlanta Bear Fest to the bear and broader LGBT communities? ABF tries to be a little different than other runs. We try to provide a relaxed, laid back and sociable run. We want to keep it small enough so that it’s warm and friendly. The first run my partner and I went to years ago, practically no one talked to us the entire weekend. We were basically left completely to ourselves and felt very left out. So we as a club try very had to make sure people are included and made to feel welcome. For many people in the bear community, this and other runs are a major form of socialization with others in the bear community. They get to see old friends they have known for years, meet people in person they have only talked to online and meet new people with whom they develop long friendships. ABF is an environment where they can go and enjoy themselves without feeling as though they had to meet someone else’s expectations on how they should look or behave. It’s also a place where people who are not bears, but who have an interest in bears, can go to meet someone. Many of our attendees have been coming to Bear All or ABF for years, and I look forward to seeing them each year and meeting new people as well. The people who attend our event are as a rule some of the nicest people you will ever meet. While we try to provide a fun time for everyone, ABF is also one of the major events we use to raise money for club activities as well as money we donate to charity. Is there anything different about Atlanta Bear Fest this year compared to previous years? This year, we have decided to concentrate more on raising funds for one of our charities. Our bear and cub contests are also sanctioned events this year so the winners can go on to compete in other national contests. What makes for a good Mr. Atlanta Bear and Mr. Atlanta Cub contestant? As I’ve said since I became president, what makes a good club is to just have fun. The same is true for the Bear and Cub contest. We try to make it a fun time for the contestants as well as the audience. How many people are you expecting this year? If previous years are an indicator, we expect between 250–300 people total. The event is mainly held at the Courtyard Northlake Marriott in Tucker. Why did you select this particular location? When Southern Bears decided to revamp its bear run a few years ago we polled our attendees for the current year for what they would like to see in a future bear run. We asked what we were doing right and what they would like to see changed. Overwhelmingly the people attending wanted several things that were important to them. They wanted the hotel to themselves so that they could feel at ease and we could “take over” the property. They wanted to hotel to be secluded and private. They wanted a good value for the money—lower costs and clean comfortable rooms. [They wanted] less added extra expenses such as parking, room taxes, expensive restaurants and other costs that tended to add up quickly. They wanted to be able to have open access to a pool without having to worry about making others or themselves feel uncomfortable. They wanted availability to lots of varied food. While this hotel is not perfect—we would like to be closer to the heart of the city, for instance—it is by far the best overall place we have found. And we have looked at a lot of places. This hotel makes us feel welcome; the rooms are clean, comfortable and inexpensive; it’s a safe environment and there are a number of businesses within easy walking distance. And we basically can sell the hotel out and have it to ourselves. The layout is also very private and gives us a good way to showcase our vendors. The bar activities are held at the Eagle. Can you talk a little about the Southern Bears’ relationship with the Eagle? Southern Bears started at the Eagle. In fact, the two owners—Robby and Richard—were founding members of Southern Bears. For people who are interested, what do the Southern Bears do as an organization? We try to have a wide variety of activities. We go to movies on a regular basis, have game nights, go bowling, have potluck suppers, go to local restaurants at least once a month. We have been white water rafting, taken trips to the state fair, had picnics at Stone Mountain, go to the Christmas Village at Stone Mountain, make an annual trip to the Renaissance Fair, and many other activities. We are always looking for new things to do and our members are free to suggest what they are interested in doing as a group. Anyone is welcome to join us; we have over the years had all types of people as part of the club and have no physical requirements for membership. In fact, people who are not members are welcome to just us at any event. And of course we have as one of our major goals to help local charities. We have helped many over the years with both time and money. Our current “favorite” charity is Lost-N-Found but we donate time and money to other causes as well. We are currently working towards a goal of raising $5,000 for them. The Atlanta Bear Fest runs July 4–7. The run fee is $109 at the door, and includes access to all activities during the event. For more information, visit atlantabearfest.com.